Find out information on major Sikh festivals and holidays. India is a land of myriad religions and cultures. Each of the religions finds an expression in the celebrations of its unique festivals. The same holds true for Sikhism as well. However, unlike other religions, the festivals unique to the Sikhs have little to do with the worship of the divine. Instead, they commemorate the milestones in the lives of the 10 gurus of the Sikhs and their teachings. Along with this, Sikhism also celebrates some of the major festivals that Hindus celebrated - such as Diwali, though the reasons behind the celebration are different. Be it in general life or at the time of festivals, in Sikhism, all worship is directed to the holy book, the Guru Granth Sahib. Originally compiled by the first guru of Sikhs, Guru Nanak, the book was later edited by Guru Arjan, the fifth guru. It was brought to its final form by the last of the Sikh gurus, Guru Gobind Singh. The Guru Granth takes the place of a deity, and is revered as a god. People circumambulate it and bow down before it. At the time of Sikh festivals, public processions, in which Guru Granth Sahib is taken out on a palanquin, are undertaken. Sikhs observe the birthdays of all their 10 gurus with much fanfare. However, it is the birthdays of the first and the last gurus, Guru Nanak and Guru Gobind Singh, where the celebrations take the form of major festivals. The other day that Sikhs hold in reverence is Baisakhi, or the day when Guru Gobind Singh founded the Khalsa sect, in the year 1699. With bhakti being central to the religion, Sikhism employs a lot of music and song in its attempt to gain union with God. Its festivals are marked by the singing of gurbani, or holy songs, and readings from the holy book. 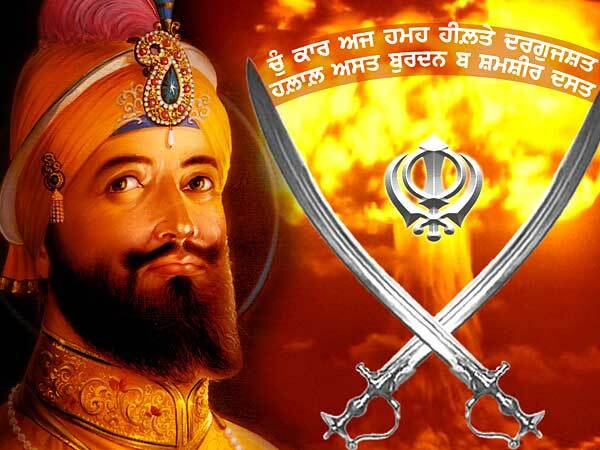 The great strength of the Sikhs lies in their sense of brotherhood and community. It plays a part in their daily life, and particularly during their festivals, when temple-worship, reading the holy book and communal mingling take precedence over public celebrations. When it comes to exploring the feelings of Sikhs during festivals, we get, on one side, their intensely moving religious songs - gurbanis, and on the other, their hearty dances and rhythmic and infectious music. The Sikhs are robust and hearty people, and this reflects in the way celebrate their festivals.